An accurate, easy-to-read translation of the New Testament, Psalms, Proverbs and more. Translated by Dr. Hugo McCord (Popular among the Churches of Christ and the Independent Christian Churches). By diligent study, thorough academic preparation, self-discipline, and heart cultivation, Dr. Hugo McCord has become one of the leading and readable scholars in the United States. His greatest scholarly contribution is this translation of the New Testament, now available for PC Study Bible. Because of his superior linguistic ability and commitment to the truth, he prepared a translation that can be accepted with confidence by all. He sought diligently to give an accurate translation of the inspired Word of God in an easily understood modern day English. • Is There a Perfect Translation? • Is a Literal Translation Possible? • Is a Paraphrase Wrong? • What Kind of Translation is Best? 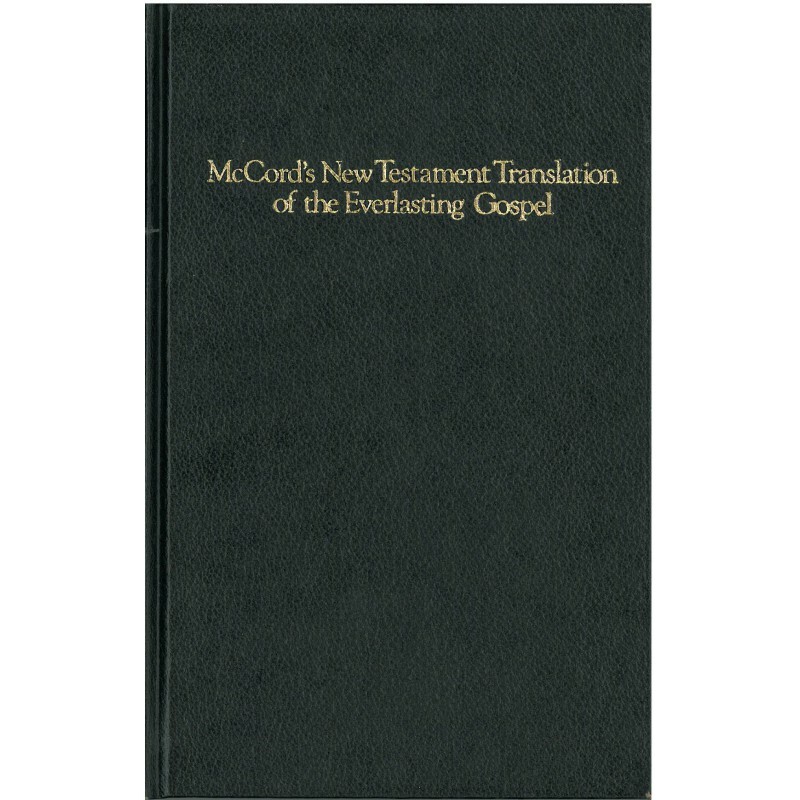 Further, McCord explores the translation and use of words such as "church", "baptism", "repent", "only begotten", and "LORD". He rounds out his Appendix with an even more detailed look at dozens of scripture passages, compares them to the original Greek and Hebrew, and then gives a straightforward explanation on how best to translate these words into English. This supplementary material will be a bonus to anyone wanting to better understand Bible translation.